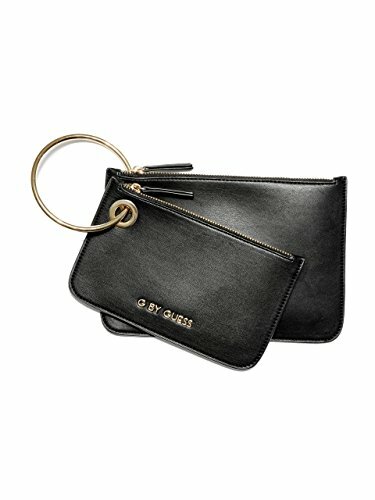 Faux-leather double wristlet is perfect for your next night out. Features an O-ring design connected with oversized grommets, top zippers and a logo at front. If you have any questions about this product by G by GUESS, contact us by completing and submitting the form below. If you are looking for a specif part number, please include it with your message.